The way these ionic foot baths work is that the ionic foot bath's ionater releases ions into the water. The polarity will be periodically reversed, switching between positive and negative ions. You will absorb the ions through your pores (Source). Your cells will be energized by these ions, promoting them to release heavy metals, fat, acid, oil and other toxic debris accumulated inside of them and your bloodstream throughout time (Source). Once your cells release these toxins through osmosis they are carried out of your feet into the water, which often turns a rust color which is how you will know that the ionic foot bath has worked (Source). Trained spa personnel claim that they are able to assess the water coloration and determine which organs have been detoxified based on its coloration. To be clear, there is a good deal of controversy regarding whether they actually work. We've compiled 5 of the best-selling ionic foot baths on the market and also examined some of the evidence below. Do Ionic Foot Baths Actually Work? There is a hotly contested debate concerning whether ionic foot baths are scams or science. The folks over at spaindex.com have conducted an extensive examination and cannot find any definitive research proving the medical benefits foot bath detoxification. Skeptics, including a University of Washington environmental and occupational health sciences professor writes that ionic detoxification is improbable because the human body's skin is an exceptional barrier that is engineered to prevent things from crossing it. There actually has been one experimental investigation into ionic foot baths, however it only included six subjects and was overall a pretty weak attempt at examining the medical efficacy of these alternative health devices. The study examined levels of a variety of different types of substances including arsenic, calcium, chromium, cobalt, iron, magnesium, manganese, nickel, selenium, silicone, sodium, strontium and vanadium. The study did demonstrate that these elements were entering and leaving the body in statistically significant quantities. The authors of this study assessed toxic element levels in their participants hair and urine at intervals throughout the studies 12 week duration. The bottom line is that the study did demonstrate some interesting toxic chemical activity occurring in the footbath, but because of their small sample size and poor data analysis its difficult to determine solid conclusions from their work. One medical researcher over at scienceofnaturalhealth.com was somewhat encouraged by the results, though he writes of the urgent need to truly subject ionic footpath detoxification to a rigorous scientific and empirical examination. speed up injury recovery time. With a lack of scientific consensus, it's perhaps best to examine what people who actually purchased and used and ionic detox foot bath system actually have to say. Those who bought the HEALTHandMED ionic foot bath write that it is a simple device and all you have to do to use it is pouring some warm water, adding some salt, slip on the belt and bracer and then wait for around 30 minutes. Consumers are sensitive to the claims that it is a scam, but encourage people to try it. One user writes that they had researched this particular unit for a long time prior to purchase, and after having bought it and used it for a while claim that their body feels lighter, that they achieve deeper sleep states, that they wake up feeling refreshed and with less anxiety. 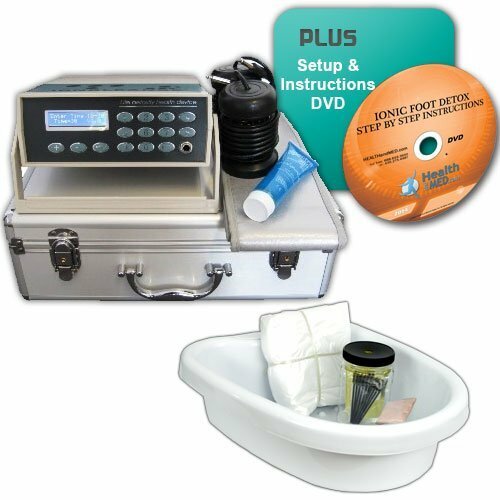 Another user who purchased one of these ionic detoxification footbath was a confirmed skeptic who had undergone thousand dollar detoxification sessions before. 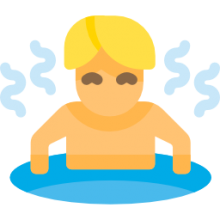 After experimenting over the course of 10 weeks, taking ionic foot baths twice a week for 30 minutes apiece, this user writes that he is pleased with the experience. He notes that the primary benefit occurs from the current that promotes an overall body detox process that promotes toxins leaving your body over the next couple of days to feces, urine and sweat. As we've seen, there is no empirical evidence of the efficacy of ionic foot baths. While you should certainly be skeptical of outlandish claims, at the same time the only true way to tell whether one of these devices actually works for you just to try it out yourself. Visit a spa that provides the treatment, ask them some pointed questions about its efficacy, and if it's not too expensive, try it out yourself. Or perhaps buy one of the reasonably priced ionic foot baths in the comparison table above. You'll be able to return it if it doesn't do anything for you. ionic foot bath, while there is an abundant supply of anecdotal evidence supporting its use.